Make data work for you! DMT Software Services LLC is a computer programming and IT consulting business in Milwaukee. DMT provides software service and software support to organizations that need tech help but do not want to add people to the payroll. 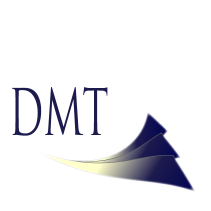 DMT works with businesses, nonprofits and private individuals. No client is too big, or too small. DMT normally acts in close communication with one or a few individuals within an organization or department, either on site or in our office. DMT has extensive experience with database software, reporting tools, web sites, and authoring software. DMT has successfully worked with end users and technical personnel. Located in the hub of Southeast Wisconsin, DMT can readily serve clients throughout the four-county area of Milwaukee, Ozaukee, Washington and Waukesha. Make data work for you! Contact DMT today for your free consultation.